Amidst the excitement of heading into 2018, we’re reflecting on a memorable year that marked the anniversary of milk’s selection as Oregon’s Official State Beverage. We called it the “Year of Milk,” and it was a celebration 20 years in the making. It all started back in 1997, when Bruce Cardin’s sixth grade students at East Elementary School in Tillamook felt strongly that milk should be Oregon’s state beverage. They traveled to Salem twice to testify in support of the designation, and Senate Joint Resolution 8 became official in April 1997. 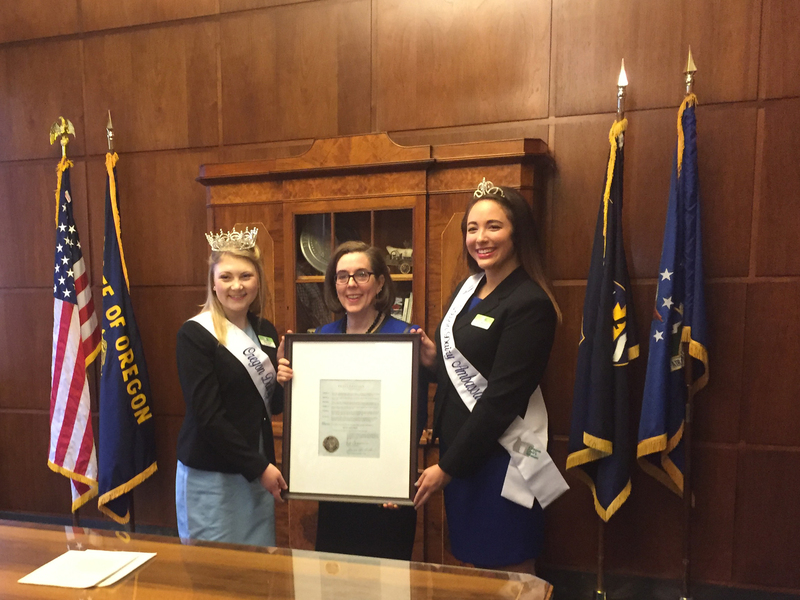 Fast forward to 2017, and some of those same students returned to Salem for Dairy Day at the Capitol in March for a reunion with Mr. Cardin and some of the legislators who helped pass the resolution. 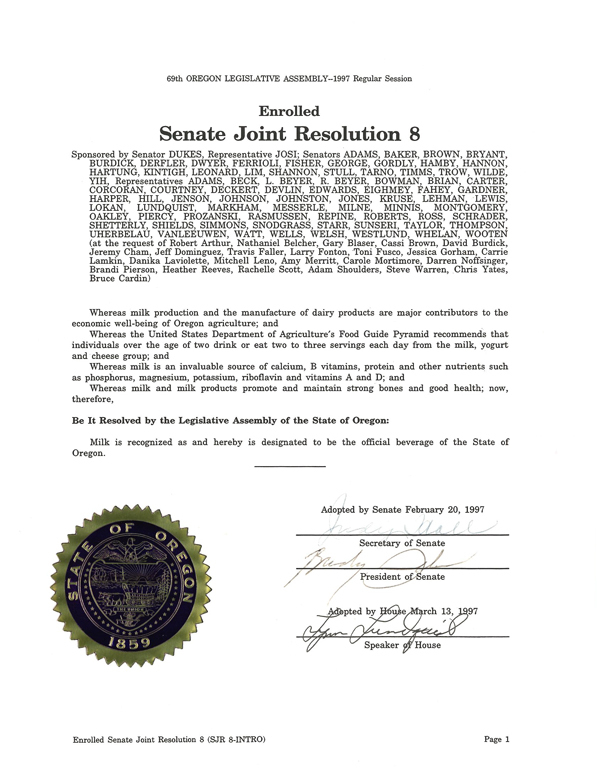 Governor Kate Brown signed a proclamation designating April 2017 as Oregon Milk Month, which served as the beginning of a series of events and observances celebrating milk and Oregon’s dairy farmers, dairy food processors and dairy cows. Through Oregon Agriculture in the Classroom’s Literacy Project about milk and presentations by Dairy Princess Ambassadors at Oregon AgFest, students learned more about milk and its role in their diet. Milk was also celebrated at events including the Milk Carton Boat Race, the Tillamook Dairy Festival and Parade, the Oregon State Fair and Oregon’s Bounty. Observances included June Dairy Month, National Ice Cream Month and Hunger Action Month for the Great American Milk Drive. While the Year of Milk has come to an end, we look forward to two additional landmark anniversaries in 2018. It will be the 100th anniversary of the Oregon Dairy Council and the 75th anniversary of the Oregon Dairy Products Commission. So there will be plenty more reasons to raise a toast with a cold glass of milk in the year ahead.